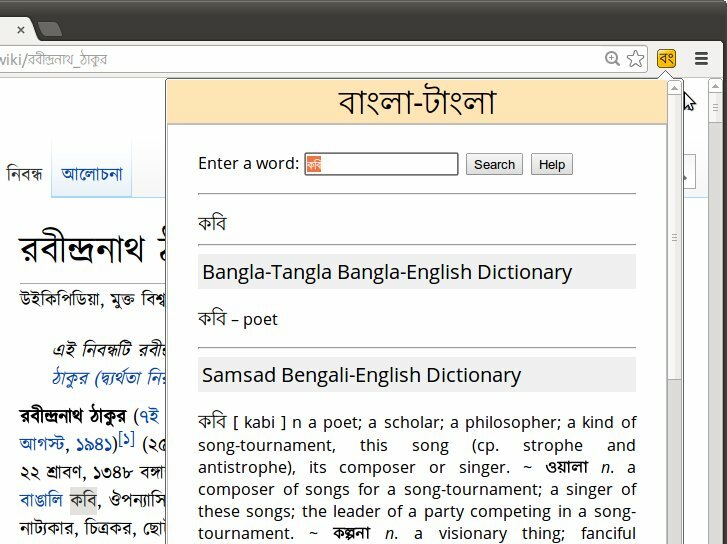 The Bangla-Tangla Chrome Extension is an extension (plug-in) for the Chrome browser that makes it easier to look up Bangla words you encounter on web pages. You simply highlight a word on any web page and then click on the extension's icon to see the definition. You can also look up words directly by typing them into an input box. Note that this extension does not work with any browsers except Chrome.